Who do you play football for or support? Have you ever seen or collected football stickers of players? Now is your chance to create your own personal portrait or team photograph to share with the world. Who do you play football with? Do you have a team shirt, colour or badge, or do you just come and play dressed as you are? 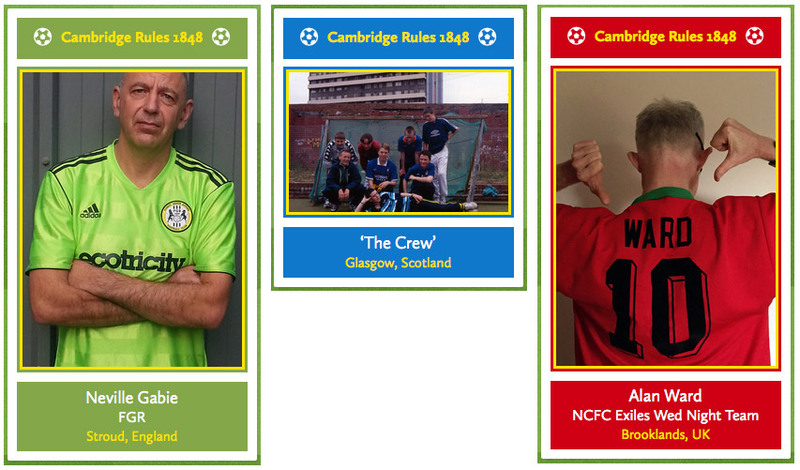 We would like you to take a self portrait wearing your team kit just as if you were creating your own football players sticker. If you do not play football but have a favourite team, then perhaps take a picture wearing that shirt. Or if you wish, take a photograph of all your team of players together. As an example please see our images below. This is your chance to personalise the frame around your photograph to an appropriate colour matching your football kit.